Incorporated on 9 April 2012, JPDC is a federal government agency under the Malaysian Prime Minister's Office by virtue of being a wholly owned subsidiary of Malaysia Petroleum Resources Corporation (MPRC). 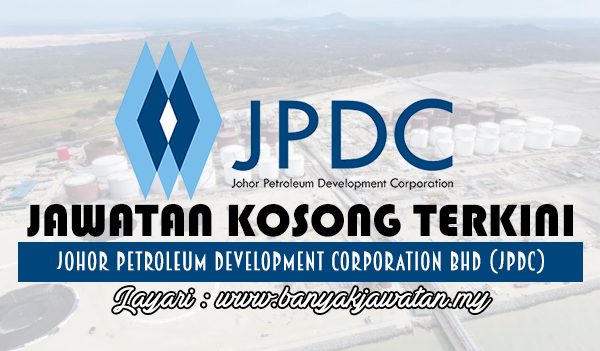 JPDC will undertake the role to steer and provide development directions for the downstream oil & gas sectors in Johor, Malaysia. Such endeavour require talents in the area of planning, implementation, coordination, management and promotion to ensure the success of the downstream oil and gas industry. JPDC also seeks talents who share the same enthusiasm for excellence, new challenges and innovations. A Bachelor Degree from a recognized university in Marketing, Economic or related discipline. Candidates without a degree but possess strong exposure in research and analysis and proven track record would be considered. 3 years of working experience in the related field. Ability to conduct primary and secondary research, fast-checking and verification of data gathered, assembly of the information into substantial profile including writing numerous narrative components. This role requires speed, precision, creative thinking and editorial capability. Candidates should have sense of curiosity with strong online research skills, a knack for people and department analyses. Insight into analytics and interpreting information. Self-motivation with drive and enthusiasm. Effective interpersonal, organizational and planning skills. 0 Response to "Jawatan Kosong di Johor Petroleum Development Corporation Bhd (JPDC) - 2 December 2017"